Freshpet's Adorable New Christmas Commercial "Santa's Elves"
Adorable dogs and cats dressed as Santa’s elves with human hands making toys: just another thing to love about the holidays. Mr. and Mrs. Santa Paws painting in background by Heather Mattoon. 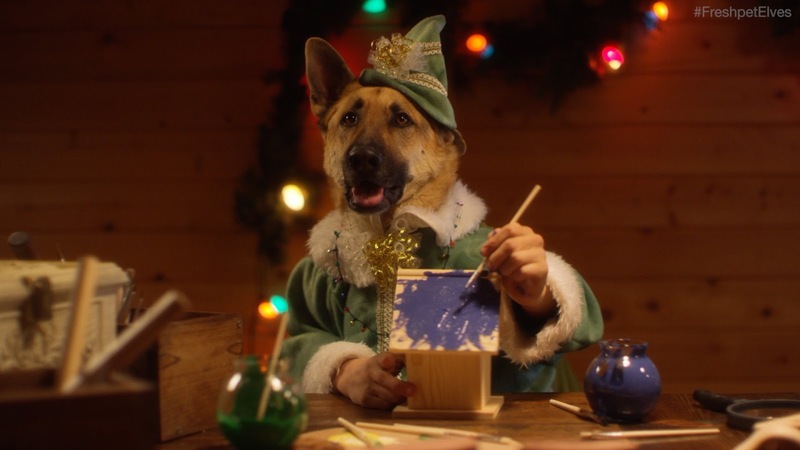 AdStasher: Freshpet's Adorable New Christmas Commercial "Santa's Elves"